Service Details: Despite being an Army nurse, Ethel is included on this site because she ended up working in RNZAF Hospitals. She first enlisted as an Army nurse on the 2nd of December 1915 for service in the First World War. She had taken up duties two days later on the Hospital Ship Marama. She left New Zealand for overseas service on the 21st of January 1916 and was sent to Egypt. She returned to New Zealand that October, and then was posted to the Hospital at Trentham. On the 22nd of September 1917 she once again embarked abord Marama for overseas duty. She arrived home just after Christmas, returning overseas for a third tour a month later. On the 6th of April 1918 Ethel was promoted to Staff Nurse, and on 3 December promoted again to Sister. She eventually embarked for home on the Willochra on 8 March, arriving in New Zealand on the 15th ofApril 1919. Ethel worked between the wars first at Waikato Hospital, then she was matron in charge of opening the hospitals atTaumaranui, Te Kuiti and Huntly, before moving onto a position as matron at Whangarei Hospital. She continued at that post into the Second World War, and then she returned home to Cambridge taking up duties with the Voluntary Aid Detachment (V.A.D. 's) and the Red Cross. "Miss Ethel Swayne, who until fairly recently was matron of the Whangarei Hospital, has since been wrapped up in all the activities of the V.A.D. 's, being in the positon of Commandant. Now comes the news that Sister Swayne has been called up for military duties. "Once again,", we may say, as she did so in the last war. The committee of the Red Cross staged a farewell afternoonfor Sister Swayne, who, by the way, was a member of the executive of the Cambridge sub-centre. On arriving the guest of honour was presented with charming bouquets - by Miss G.L. Braun (convenor of the entertainment committee) and Mrs H.A. Pegg (Lady Superintendant of the V.A.D.'s). Mrs H.C. Tod also made a presentation of a monogrammed hussif. The V.A.D. 's themselves presented Sister Swayne with a beautiful handbag, and this little gesture was carried through by Rhoda Brown, who now steps into the postion of Commandant in Cambridge. Rhoda is a particularly capable girl, having trained in Rotorua, and then gained much experience nursing in England for some years. A few of the committee members present and others included: Mrs R.S. Whitley, Mrs Arthur Nicholl, Mrs R. Alford, Mrs Frank Vosper, Mrs A.J. Swayne, Joan Sayers, Dagmar Jones, Noeline Banks, Lois Aymes, Rosemary Rishworth, Shirley Tod, Audrey Hewett, Kath Fisher, Justine Lundon, and Nancy Fairbrother. These lasses are all V.A.D.'s. A few weeks later the New Zealand Observer had a tiny followup, stating briefly, "Sister Ethel Swayne, of Cambridge, has left to take up an important military position." 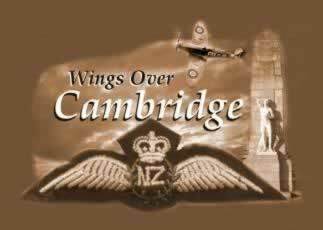 She was attached to the RNZAF initially at the Station Hospital on RNZAF Station Whenuapai, and later she transferred down to the RNZAF Hospital in Hamilton, where she performed the duties of Matron.